Decorating your sweet home is not an easy task. Views, ideas, interests, favorites of the family members together make a complete décor. Try choosing 3D décor theme to make it happen. Scroll down to checkout some fabulous and unique 3D printed home decors specially designed to make your décor completely beautiful. Lamps are the bright style statement of any space at home. The plug in 3d pendant lamp, blooming lamp can completely warm up and bring instant character into the room. The mesmerizing looks will glow up your comfort zone completely. The entry hall will set the tone for the whole house and just make it look and feel winning everyone’s eyes and heart. 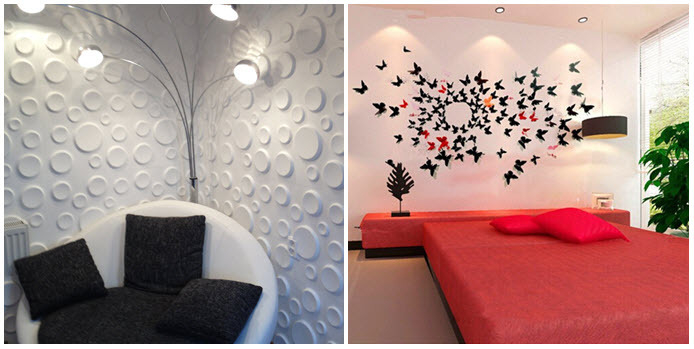 The embossed decorative wall panel, 3d butterfly wall stickers will give the feel of enchantment in your wonder world. Pretty magical that takes your décor to the next level. Greens at home is always fabulous when placed in cute planter pots. The 3d robot planter, middle Easter villa planter are cute friends for succulents. These pots will add a classy charm to the décor. Just stick on to the beauty and enjoy a green décor. A building becomes a home only after furnishing. The 3d printed organic stool, furniture set with amazing unique patterns is going to be the center of attraction in your 3d themed décor. Sit back and enjoy a comfortable stylish seating at your sweet home. Fresh styles are always preferred by kids. The Spiderman hand 3d light, classic car light will transform your little one’s room into a colorful superhero fun land. The room with 3d lights would feature a display of what your bundle of joy loves most. The functional beauty of wall clock never goes out of style. Choosing the right wall clock intelligently will add an attractive touch to the room. The 3d turquoise deco wood wall clock looks stylish to enhance the décor. 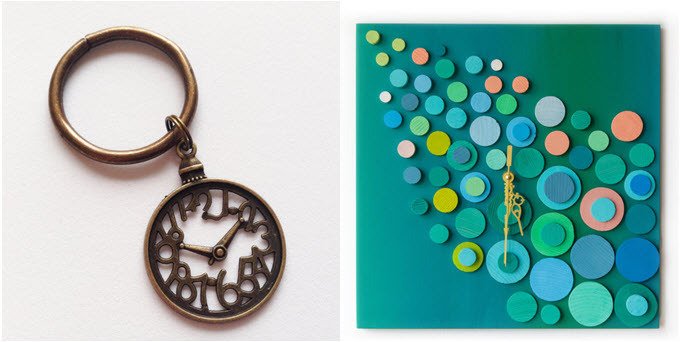 The 3d charm clock keychain would be an amazing gift for retro lovers. Right addition of a simple rug will bring stunning looks to interiors. 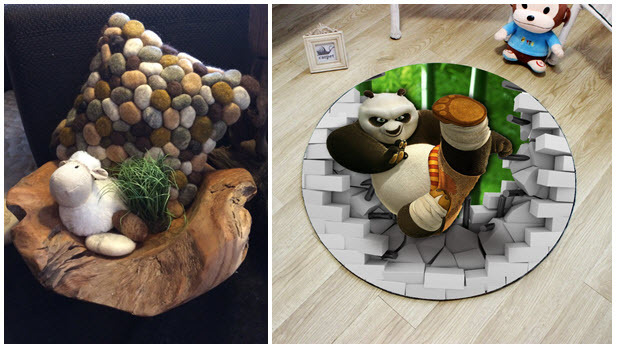 The panda mat is the super soft friend for your foot, Pebbles wool multicolored cushion comforts your back giving a feel of complete rest in cloud nine. Take home these amazing 3d decors to bring in special unique looks. 3D decors with its unusual beauty will bring in a quick complete change to spice up your favorite space. The ultra-modern decorative choices should never be given a second thought. So, get ready to pick your favorites from the list for an eye catching bold décor. Unique pics related to the topic is always welcome.